WINGATE, N.C. – A man here who spent his time improving his neighborhood was shot dead on Monday while he was on Facebook Live, authorities said. Prentis Robinson, 55, was shot dead about a block from the police headquarters where he had just stopped to report a stolen cell phone, said Wingate police chief Donnie Gay. 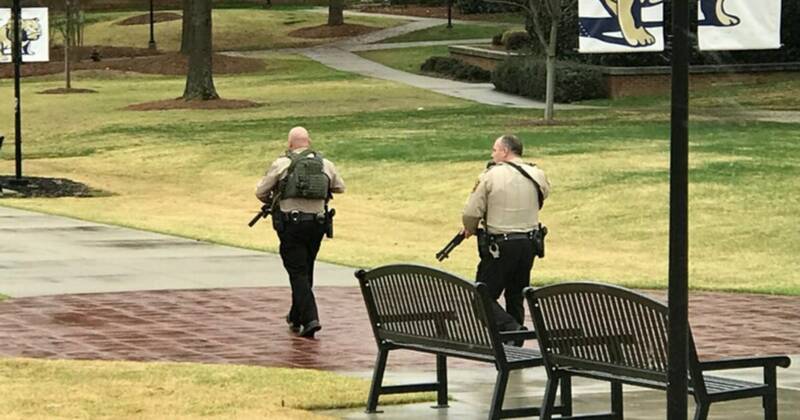 The police identified the suspect as a lifelong Wingate resident Douglas Cleveland Colson. The 65-year-old man was released on Tuesday morning, probably somewhere in the area, and according to Gay, was considered armed and dangerous. In the footage that Facebook has now removed, but watched by NBC News, Robinson is seen walking down a street in Wingate, south of Charlotte, using a cell phone on a selfie stick. "You on Live," Robinson keeps telling someone who obviously does not approach him. The person whose face is not visible seems to fire four shots. Robinson falls to the ground. In a statement, Facebook said it removed the mail because the company could not have known if Robinson "wanted this horrific act to be live streamed on social media." Gay said the suspect was wearing blue jeans, brown Timberland-style boots and a black-and-blue windbreaker. 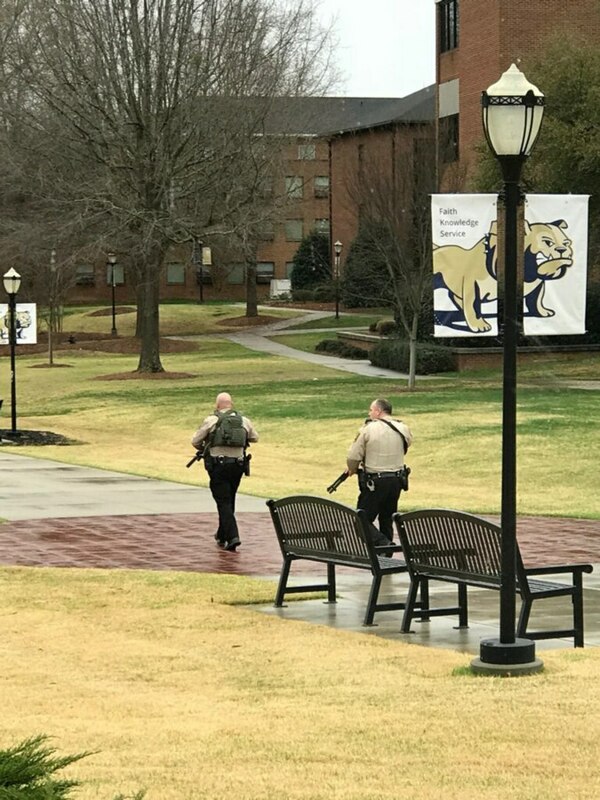 Wingate University, which shelved its campus shortly after the shootout, added that the suspect was armed with a long gun. It was not clear why Robinson was being targeted, Gay said, even though his killer did not seem to appear in front of the camera – or shoot anyone so close to the police department. "Just a block or so far from If this is not outrageous, I do not know what is, "Gay said, adding," It's heartbreaking. I can not believe it. Gay said that Robinson was one of nine children. In addition to a brief relocation to Atlanta, Robinson had spent his entire life in North Carolina and was known for Facebook videos in which he took " A friend of Robinson Chester Sanders said the videos – which included Robinson's illegal activities in the neighborhood, such as drug trafficking – probably angered people. "If people do not like it and they get angry, eventually it will start and something will happen," he said, "I do not know if that was the reason for … this tragedy, but it happened. In a video posted Monday morning on the way to the police station, Robinson walks around the area with his selfie stick, beckoning passing cars, singing birds, complaining about his stolen cell phone, and worrying older residents of the area. "Th One is afraid of some of the ongoing activities," he said, adding, "I try to keep the neighborhood quiet – peaceful."